by Josep Lluís Mateo and Eduard Bru, Ed. Gustavo Gili. Barcelona, 1983. 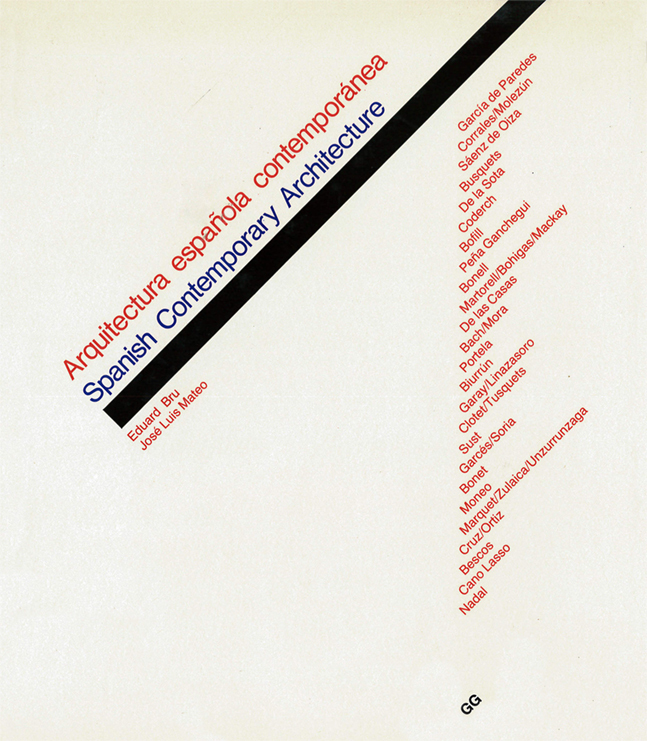 With detailed descriptive text and full illustrated documentation in drawings and photographs, this book analyses over thirty representative buildings of the seventies in Spain, characterized by a crisis and by the fact that purposes inherent to the Modern Movement wee put again under discussion.